It is great news as it will be far more efficient and dumb conservatives won't be able to whine boondoogle. Dumb people will definitely whine about it, even if it was completely free of charge (both to use and to construct), and somehow the system managed to generate enough clean electricity to power all of California, and cure cancer in anyone who used it, they'd still whine about it. Not just conservatives though, probably there will be some peeps out there complaining that the digging is upsetting the subterranean wildlife, and some other people will be shouting that if god had meant for us to go underground he would have made us mole people, and there will probably be a load of people paid by car dealerships to complain about everything Elon Musk says or does. brian wang | May 11, 2017 |China 2020 urbanization plan centers around megacities. 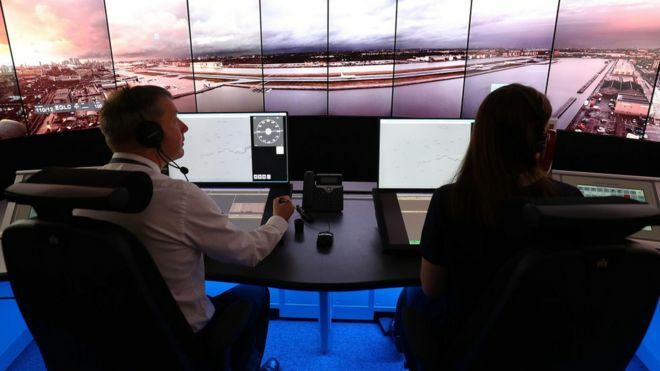 London City is to become the first UK airport to replace its air traffic controllers with a remotely operated digital system. Instead of sitting in a tower overlooking the runway, controllers will be 80 miles away, watching live footage from high-definition cameras. The technology has been developed by Saab, the Swedish defence and security company, and will be introduced as part of a £350m development programme to upgrade London City Airport which will also include an extended terminal building, enabling it to serve two million more passengers a year by 2025. It will provide controllers with a 360-degree view of the airfield via 14 high-definition cameras and two cameras which are able to pan, tilt and zoom. The cameras will send a live feed via fibre cables to a new operations room built at the Hampshire base of Nats, Britain's air traffic control provider. China Railway began construction on the 78.2km Beijing – Bazhou high-speed line, which will serve the city’s new international airport at Daxing, 46km south of the capital. The line will include four new stations, including an underground station at the airport, and is expected to cost Yuan 27.4bn ($US 4billion), including Yuan 800m for rolling stock. The Beijing – Daxing International Airport section will have a design speed of 250km/h, with the remainder of the line south to Bazhou being constructed for 350km/h operation. Elon Musk is moving ahead with his plans to build a high-speed vehicular transport system beneath the City of Angels, and has offered an early peek at how he wants it to go down. Last week, the billionaire entrepreneur released images that give some sense of what his developing travel scheme for subterranean Los Angeles would look like, including mock-ups of a public transit-style passenger car. As Business Insider reported, Musk recently shared a new video of his vision for the tunnels during an April presentation to TED Talk audiences, and has now followed up with images showing even more of what his fledgling Boring Company has been up to lately. Airbus has unveiled plans to upgrade the world's biggest passenger jet, promising greater fuel efficiency and room for more seats. Airbus also said the cabin had been optimised to allow up to 80 extra seats "with no compromise on comfort". 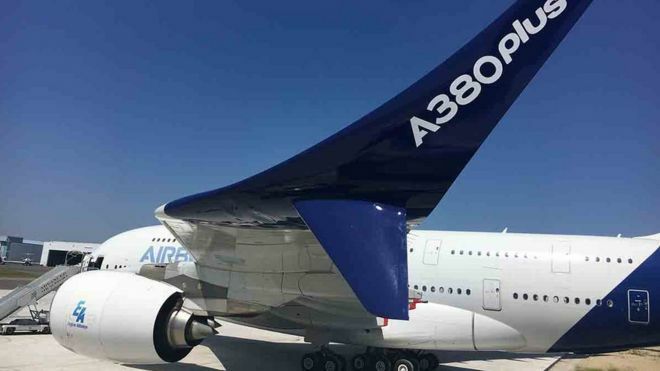 The move has been seen as a way of boosting flagging sales of the A380. Glad to see this is moving along and not some pie-in-the-sky BS. ‘I think in the next decade or two you’re going to see them become a reality,’ Boeing Chairman and CEO Dennis Muilenburg told CNBC at the Paris Air Show. However, he admitted the firm still has to prove there are enough people who could afford tickets to make it worthwhile. Boeing believes hypersonic jets – flying at up to 3,800 mph – could serve a small but important market of travelers willing to pay a premium to reach far-flung destinations in a fraction of the time it usually takes; for example, a commercial flight from New York to Shanghai that currently takes ~15 hours could be cut to two hours. The measure forms part of a government push to increase the number of electric vehicles on UK roads. The Automated and Electric Vehicles Bill also contains plans to push driverless car technology. It includes an extension of car insurance to cover the use of automated vehicles. There are several trials of driverless cars ongoing in the UK. Car insurance will be extended to automated vehicles "to ensure that compensation claims continue to be paid quickly, fairly and easily", the bill says. Lawyers have long argued that getting the legal framework right is essential if automated cars are to become popular. This is surprisingly rational and forward thinking for this Govt. I bet parliament refuses to pass it. It probably has a bunch of other stuff hidden in it or something. They're still human beings; rationality is still possible from them. And Theresa May has, at the very least, shown interest in some futurology-friendly trends. How about motorway services not charging a massive premium for fuelling up because people are stuck using them or running out of fuel even though they are all on the majory artery roads through the country. Yeah i guess i have her in my head as anti-progress since she wiped out all subsidies for solar and wrecked the nascent UK solar industry. Its not the end of the world though, we'll just have to get foreign companies to install all our solar in a few years when its cheaper.